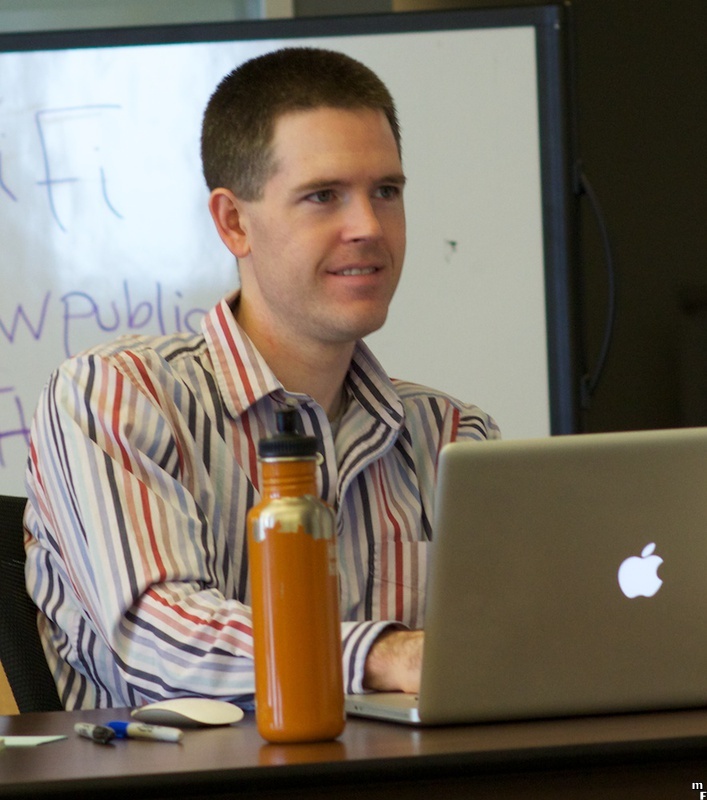 What does it take to be the Technical Assistant (TA) to the ThoughtWorks Technology Advisory Board? We have a Technology Advisory Board (TAB) to help us keep a pulse on technology throughout our very diverse organization. The TAB is a group of 21 senior technologists from all over the world that meets over the phone every two weeks and in person twice a year. This group is very busy, because the members are essential to our success in their own regions. They are the ones that make sure our new projects are technically interesting, keep our projects on track, and fix them when they fall off the track. To keep the TAB running smoothly, we have a Technical Assistant (TA). 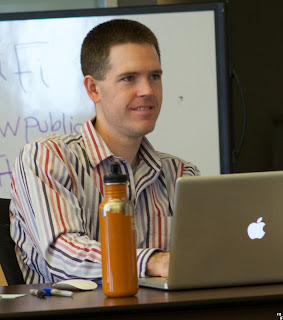 Like the other members of our TAB, the TA is a technologist. The TA is an ex-officio member of the TAB that has five primary responsibilities. I have been the TA for the TAB for the last two and a half years. 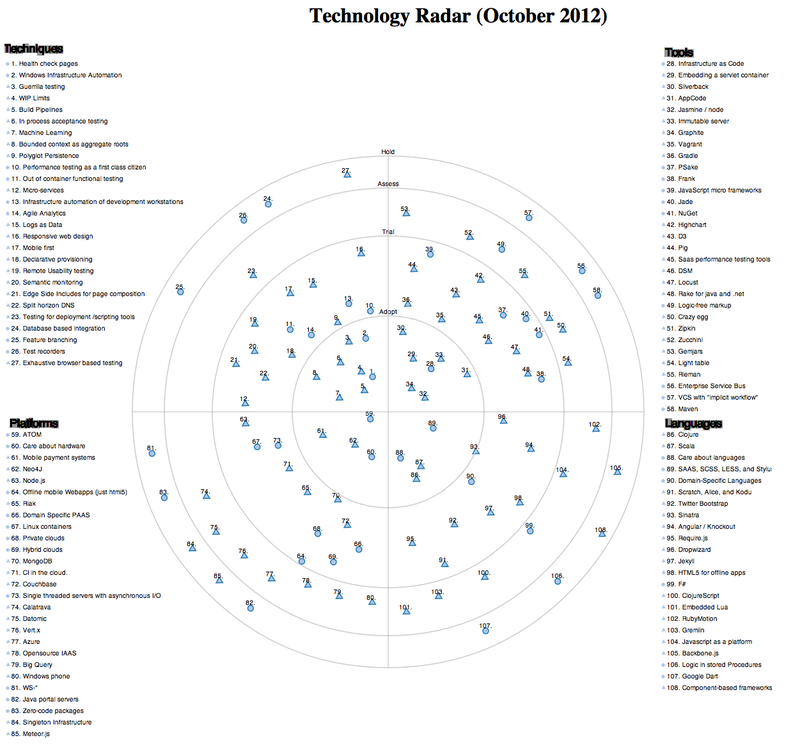 One of the most visible outputs from the TAB and possibly ThoughtWorks as a whole is the Technology Radar. The primary responsibility for collecting content, writing, and editing the radar belongs to the TA. 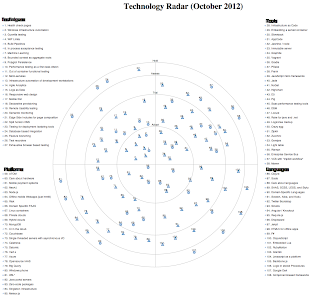 For more detail read how the technology radar is created. ThoughtWorks is a very flat organization, and the TAB works in the open. The notes for our meetings are available to anyone from our organization who is interested. The TA is responsible for taking meticulous notes during our meetings, summarizing them, and publishing them. Collect topics for our meetings, create our agenda with Rebecca Parsons, our CTO, and keep track of things that we will want to come back to later. Plan meetings, taking into account the availability of our consultants and the dramatic time differences in regions that spread from China to the east coast of the United States. Arrange the logistics for our meetings, such as arranging space to meet, making sure we have the right supplies (we love our sharpies and post-it notes), ordering food, and setting up conference calls. The third responsibility of the TA is facilitation. Keeping meetings running smoothly with 21 very vocal technologists can be challenging. The TA is responsible for facilitating meetings to make sure that they are effective and that everyone, including quieter members have a chance to speak. The TA is a representative for the TAB in their region, making sure that the work of the TAB is visible and taken advantage of. This involves presenting at regional events as well as informal conversations and written communication. The TA is also a representative for their region in the TAB. They are responsible for keeping a pulse of what is happening in their region and making sure that the important issues are covered by the TAB. The final responsibility of the TA is contribution. As an ex-officio member of the TAB, the TA has the opportunity and responsibility to help shape our technology direction.